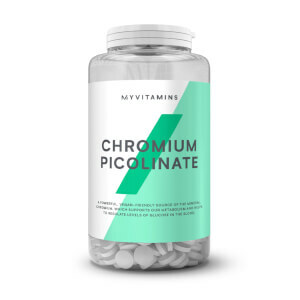 What Are myvitamins Biotin Tablets? Why Use A Biotin Supplement? Biotin can be found naturally, but only in small amounts in eggs, salmon, and leafy greens. 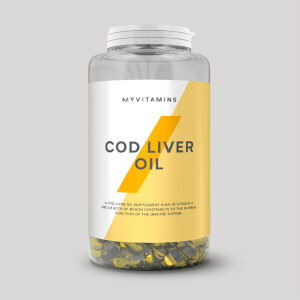 It is a vitamin that our body needs for lots of different bodily functions. A lack of it can affect our energy levels, our ability to process information, and even our complexion. What Works Well With Biotin? Biotin is a B vitamin that can help to support the condition and health of our hair, skin, and nails. Try adding Coconut & Collagen from our beauty range as the perfect partner. Biotin tablets couldn’t be simpler to take. Just take one tablet once a day. I was looking for a cheaper alternative to buying the branded Skin,Hair, Nails tablets on the market. I looked for the key ingredient which was Biotin. I bought these around a month ago, and my nails have never been so strong and long! Also, i had my hair cut short last year and hated it, therefore i have been trying to grow it out. My hair is in the best condition ever and it has grown loads!. I'm super pleased with my purchase. Great value for money, great product and great service! Off to order some more now! :) Thanks Myvitamins! I made a research online before bought these vitamins and can say these are very competitive content wise to other famous brands. Happy with my vitamins so far. Will buy in a future again. I am 3 months postpartum and my hair loss is definitely kicking in. I decided to take biotin to help. I haven’t noticed much change, but I feel my hair must be doing better than before! My nails and skin feel a bit better too. I have been using biotin for about 6 months now, after my hair started falling out quite a lot, 4 months in I noticed my hair was a lot stronger, less breakage, and I have noticed all the extra hairs growing back and also all my baby hair is growing back too. My nails grow long too without snapping anymore and my skin feels smoother and I have less breakouts. Definitely recommend these to anyone having the same problem as me. Just one thing is every time I’ve ordered them, I always order the 90 capsules but on both orders they have sent me the 30 capsules but after contacting customer service they resolved this very quickly for me with no hassle. I really love these! I have had brittle peeling nails forever and since using these for about two months my nails are so much stronger and longer. My hair is glossy and shiny too! After years of losing my hair due to hyperthyroidism i had almost resigned myself to ending up completely bald. After previously having what I always thought of as too much hair I had hardly any left and a horrid receding hairline. 6 weeks ago I started taking myvitamins Biotin, Vitamin D3 and Omega 3 (which I had to buy somewhere else.) To my absolute amazement my hair is growing back for the first time in years and all the areas that were completely bald now have new hair growth. I am sooooo happy and glad that I gave them a go. will definitely keep taking them now I know they work. Fantastic!!! !